When does a parent’s duty to financially support a child end? Often times where parents of children have separated and their divorce or maintenance order did not specifically deal with the amount and duration of maintenance, the waters become murky as to money issues. As a parent, are you required to continue to maintain your child until you (or they) die? What happens if your child now wants to pursue tertiary education – are you required to offer financial support? At what point, if any, do your obligations to maintain your child cease? Section 18 of the Children’s Act 38 of 2005 states that the parental responsibilities and rights in respect of a child include the responsibility and the right to contribute to the maintenance of the child. Maintenance includes the reasonable provision towards a child for clothing, housing, dental and medical care, and education. Both parents have a duty to maintain the child according to their respective means and the circumstances and needs of the child. It is a common misconception that one parent has the opportunity to essentially render the maintaining parent ‘bankrupt’ as an act of redemption for breaking their hearts – this is certainly not the case and will not be entertained by any maintenance Court. In South Africa, a parent’s duty to support a child does not cease when the child reaches the age of majority (18 years) which is quite contrary to the popular belief. It must be noted that the law requires a parent to continue to maintain their child (ren) until such time as they are able to support themselves. That being said, once a child reaches the age of 18 the respective parent’s right to apply for maintenance on behalf of the, now adult, ‘child’ ceases and the responsibility shifts on to the child to bring an application for maintenance in his or her own capacity, should they believe they require it. Our courts have also held that the wording of a court order regarding the responsibility of maintenance is the deciding factor as to when the maintenance obligation will stop. So then, where a maintenance order provides for payment of maintenance until a child reaches a certain age (even beyond majority), such an order will not cease to exist when a child becomes self-supporting and will need to be set aside by way of an application by a parent that is able to prove that the setting aside of the maintenance order is warranted i.e. the child is in fact self-supporting. Conversely, if a major child at some point becomes unable to support themselves financially, perhaps due to poor health or disablement, then the duty of the parent to maintain the child may be revived by application of the parent. Of course, the issue then becomes “who’s to tell whether the child is self-sufficient, this is way too subjective!” This would be a fair point. The courts are therefore granted discretion in making this determination on a case-by-case analysis. In certain circumstances, the duty to maintain children may include the duty to financially support the child’s tertiary education endeavours. Again, this is determined by a number of factors and is not necessarily automatically required of the non-caregiving parent. 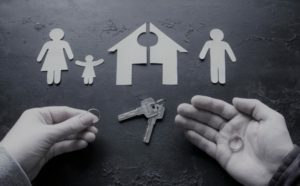 All in all, it is evident from our courts that much importance is placed on the wording of the parents’ divorce order, settlement agreement and / or maintenance order. From this, it becomes easier to determine the respective maintenance obligations of the parents are.